We have nine questions in this week’s mailbag. Only three more of these until pitchers and catchers report and only five more until Grapefruit League games begin. Hooray for that. Send all your mailbag questions to RABmailbag (at) gmail (dot) com and I’ll answer as many as I can each week. Tamir and Gai ask: Other than Robinson Cano’s 2008 season are there other comps of a player having one atrocious down year like Gary and then coming back as if nothing happened? Oh sure. Robinson Cano is great example we’re all familiar with. He hit .314/.346/.489 (113 wRC+) with +7 WAR from 2005-07 then dropped to .270/.305/.410 (86 wRC+) and +0 WAR in 2008. Robbie looked like he forgot how to play baseball that year. Cano bounced back in 2009 and has been on the Hall of Fame track since. Too bad he won’t get in due to the performance-enhancing drug suspension. Several players, including Mike Moustakas and Jean Segura, had terrible second and third big league seasons before finding their way again in their fourth season. Repeat after me: Development is not linear. There are often bumps along the way. Maybe Sanchez is bad forever now. It could happen. I am nowhere near ready to say that. Being a young catcher is really difficult because there is so much responsibility, plus Gary apparently played through some shoulder trouble last year, hence offseason surgery. Trust in the talent, trust that he can again do things you’ve already seen him do, and be patient. Les asks: Should the Yankees consider trading Betances this year or risk the chance of re-signing him after the season. We all know the history between the two parties, mainly due to the publicized comments made by Randy Levine. It may be make it extremely difficult to re-sign him. I think it would be sad to see him leave without any real compensation, especially when the bullpen is the one area of the team where his loss could be tolerated. I get what you’re saying. Potentially losing Dellin Betances for nothing more than a draft pick next offseason would stink — that’s if the Yankees make the qualifying offer too, which is hardly a given — but, when you’re the Yankees and you’re on the very short list of World Series contenders, I think you have to keep him. Betances is an impact reliever and the more good players on the roster, the better. It’s hard for me to see a scenario in which trading him makes the 2019 Yankees a better team. I will say that the Adam Ottavino signing makes trading Betances a little more plausible. I’d still keep him, but now the Yankees are in better position to absorb the loss. They’d still have Ottavino, Zach Britton, Chad Green, and Aroldis Chapman. When you have those guys penciled into the bullpen, trading Betances to address another need, whether it’s on the MLB roster or in the farm system, is easier to swallow. I’d still keep him. The Yankees will need Dellin to get to where they want to go. Brian asks: The Yankees decided Gardner was no longer a starter down the stretch and McCutchen was their starting LF. Is Gardner suddenly a starter again? Any chance that Frazier could force his way into replacing McCutchen as starting LF and force the Yankees to carry Gardy as a 5th OF (really a 4th since someone is probably at DH)? Could Ellsbury? The Yankees have to see Clint Frazier healthy and playing without restrictions before considering him for a big league role and I’m not sure he can accomplish that in Spring Training. Starting the season in Triple-A seems most likely. Frazier’s missed too much time to throw him right into an MLB role, I think. My hunch is the master plan is using Gardner to hold down left field to start the season, at least against right-handed pitchers, then begin phasing him out for Frazier at midseason. If Clint’s health doesn’t cooperate, the Yankees could look outside the organization for outfield help a la Andrew McCutchen last year. As for Jacoby Ellsbury, who knows? He has to get healthy before we worry about him. I don’t think the Yankees plan on using Gardner as an everyday player though. Not unless he forces their hand or they get hit with injuries. Ed asks: Doesn’t LeMahieu’s good OBP numbers against LHP’s give the Yankees another option at the top of the order? Yes, and this is why I think LeMahieu plays third base against lefties, with Giancarlo Stanton in left field and Miguel Andujar at DH. LeMahieu hit .330/.360/.540 (124 wRC+) against lefties last season and is a career .313/.369/.445 (104 wRC+) hitter against lefties. Gotta get him in there against southpaws. The leadoff spot could work too as long as LeMahieu continues hitting like that against southpaws. I am on team #BatJudgeLeadoff but I don’t expect it to actually happen. If the plan is to squeeze Aaron Hicks between Aaron Judge and Stanton, then LeMahieu at leadoff is as good an option against lefties as the Yankees have, at least until Gleyber Torres forces the issue. Alberto asks: How many assistant GMs does Brian Cashman have beside Jean Afterman? Cashman has two assistant general managers, officially: Afterman and Mike Fishman. Afterman joined the Yankees in 2001 and she is the highest ranking woman in an MLB front office. She largely deals with contracts and legal matters, from what I understand. Fishman joined the Yankees in 2005 and more or less built the team’s analytical department from the ground up. The Yankees quietly gave him the assistant GM title a few years back. Afterman and Fishman are Cashman’s only two official assistant general managers but he has a lot of lieutenants. Vice president of baseball operations Tim Naehring effectively replaced current Angels GM Billy Eppler as Cashman’s right-hand man. Special assistant Jim Hendry seems to be involved in everything, including draft scouting and contract negotiations. Pro scouting director Dan Giese, player development director Kevin Reese, and quantitative analysis director David Grabiner are high enough up on the ladder that they were involved in manager interviews last offseason. The “manager” part of “general manager” seems to get overlooked these days. Cashman oversees a lot of people — a lot of people — and they bring information to him, and they use it to collectively make a decision. It’s not like the wild west days when the general manager ran his own ship and made his own moves. The decision-making process is much more of a collaborative effort these days, all around baseball, and Cashman sits at the head of the table. Alex asks: Given the lack of upper level catching prospects, how much does the organization miss Luis Torrens and what are the chances that the Padres’ gambit turns out to be worthwhile? Following his 2017 big league stint as a Rule 5 Draft pick, the Padres sent Torrens to High-A last season, where he hit .280/.320/.406 (94 wRC+) in 122 games. It really feels like San Diego did the kid a disservice. I get that playing a year in the big leagues has real value. He also missed out on a lot of development time. Torrens received 139 plate appearances and caught only 310.2 innings in 2017. That’s after only 214 plate appearances and 440.2 innings at catcher from 2015-16 due to shoulder surgery. That is fewer than 400 plate appearances and 800 innings behind the plate from 2015-17, his age 19-21 seasons. How is that good for his development? I understand the “get the talent while you can and figure it out later” aspect of all this, but it really feels like Torrens was put behind the 8-ball developmentally. That’s a shame. I hope he can overcome it. As for the Yankees, I’m not sure they miss Torrens because it’s unlikely he would’ve been a big league factor at this point, and they have a pretty good young catcher in Sanchez as it is. They don’t have Torrens as a trade chip, which stinks, but not having a top upper level catcher in the system doesn’t hurt as much when you have a guy like Gary in MLB. 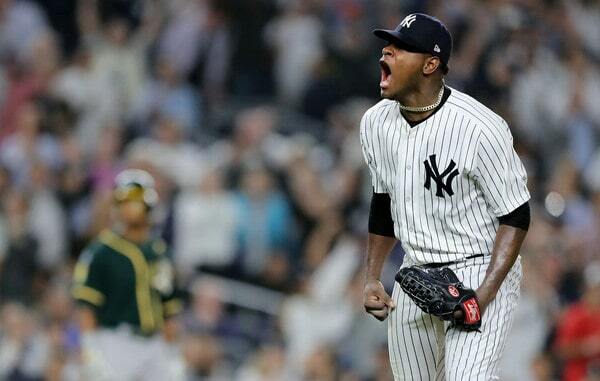 Dave asks: Any thoughts for a Severino long term contract that would work for the Yankees and for Sevy? Maybe use one of the newfangled multi year options? Or is it just too soon since it’s his first year of arbitration? Believe it or not, only one starting pitcher in the last nine years has signed an extension in his first year of arbitration-eligibility as a Super Two: Gio Gonzalez. He signed a five-year, $42M contract with the Nationals back in 2012. At the time Gonzalez had eight fewer days of service time than Severino has right now, and Gio had 58% of the career WAR in 103% of the career innings. Between inflation and performance, Gonzalez’s contract doesn’t serve as a great benchmark for Severino. We do know what Severino’s salary will be this coming season. It’ll be no less than $4.4M and no more than $5.25M, the salary filing figures. Could the Yankees build an extension around $40M for the four arbitration years (say $4M, $8M, $12M, $16M from 2019-22) and then $22M per free agent year? Let’s call it six years and $84M. Severino is seeking $5.25M this year, but, in exchange for the long-term deal and large guarantee (plus being able to hit free agency at age 30), the Yankees would presumably seek a discount up front. Although I would like the Yankees to be a little more aggressive signing young players long-term, I can totally understand waiting on Severino and pitchers in general, only because there’s so much injury risk. The Yankees can afford to pay big arbitration raises and, if something terrible happens, they can walk away. It’s worth approaching Severino about an extension because you never know what’ll happen. He might be open to a big discount. His big filing number suggests otherwise. Julian asks: Hall of Fame voters seem to always discredit Rockies players like Larry Walker because they played at Coors Field with high altitude. How come writers don’t discredit Yankees players for playing at a relatively small stadium? Those numbers outside Coors Field are really good! Ken Griffey Jr. is a career .284/.370/.538 hitter and he received the highest Hall of Fame voting percentage in history. Walker’s numbers outside Coors Field are on par with Griffey’s overall numbers, and only 31% of Walker’s career plate appearances came in Coors Field. I’m not saying Walker was as good as Griffey. I’m just saying I think he’s being dinged too much for Coors Field — Walker’s voting percentage has topped out at 34.1% in his eight years on the Hall of Fame ballot — and it does feel like we hear more about park factors with Rockies players than all other players during Hall of Fame voting season. It’s disproportionate. 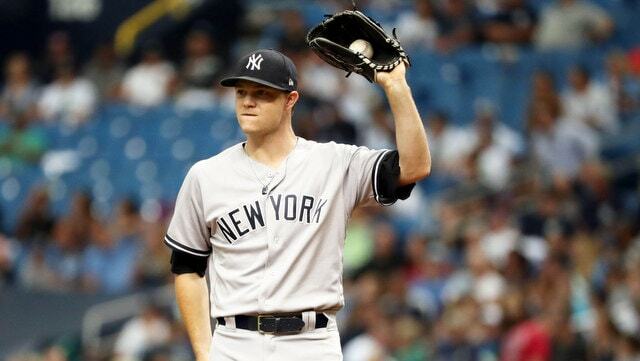 Tom asks: Did Sonny Gray agree to lower $$$ this year in order to facilitate a trade? Maybe the Yankees used that as a bargaining chip in order to get more interest/a higher return in a possible trade? If Gray agreed to a lower salary to increase his trade value, he’s an idiot. He should look out for himself and only himself. He owes the Yankees nothing and that would be a thankless gesture. Sonny is one season away from free agency. If he’s that desperate to change teams, he can do it next offseason. He shouldn’t sell himself short financially to do it now. Get paid while you can because, these days, owners are doing everything in their power to reduce spending. I think Gray’s lower than projected salary has to do with the MLBTR model being a bit too optimistic with his arbitration case. I hope Sonny didn’t voluntarily take less money. His agent failed him spectacularly if that is that case. One year later, the Yankees still employ the best quarterback in New York. Seahawks quarterback Russell Wilson will again join the Yankees in Spring Training this year, his agent told Jon Morosi. The Yankees haven’t announced a schedule or confirmed anything yet. That’ll happen soon enough. Last spring the Yankees acquired Wilson’s baseball rights from the Rangers so they could bring him to camp and have him spend time with their young players. Even though he plays a different sport, Wilson is an elite athlete with knowledge to share, and he’s long been regarded as a high-character guy. He has a lot to offer. Wilson played some baseball in college at North Carolina State. The Rockies drafted him in the fourth round in 2010 and he played two years in their farm system, hitting .229/.366/.342 (105 wRC+) with five homers in 93 Single-A games from 2010-11. He gave up baseball after the Seahawks drafted him in the third round in 2012. The Rockies retained Wilson’s baseball rights after he started his football career. The Rangers selected him in the minor league phase of the 2013 Rule 5 Draft and brought him to camp one year as a motivational speaker. The Yankees got him for future considerations last spring and here we are. Wilson, a second baseman back in the day, spent five days with the Yankees last spring, during which he worked out with the team and hung out in the dugout during games. After clearing it with the Seahawks, the Yankees gave Wilson an at-bat in a Grapefruit League game. Remember this?
? I imagine Wilson and the Yankees have the same thing in mind this year. Come to camp, hang out with the guys, work out a bit, and maybe get an at-bat. Nothing more, nothing less. It’s a fun way to break up the monotony of spring, and, if the young players learn something from Wilson, even better. Whitlock, 22, grew up outside Atlanta in Snellville, Georgia. He played four years of baseball at Providence Christian Academy and posted a 0.62 ERA as a senior. Despite that, Baseball America (subs. req’d) did rank him among the top 500 prospects for the 2015 draft, and he went undrafted out of high school. Whitlock followed through on his commitment to the University of Alabama at Birmingham. As a freshman with the Blazers in 2016, Whitlock worked almost exclusively in relief, throwing 51 innings with a 3.00 ERA and a 46/21 K/BB. He made one start and 24 relief appearances. Whitlock headed to the Cape Cod League for summer ball and struck out eight in six shutout innings for the Chatham Anglers. Given his limited workload, it should be no surprise Whitlock did not make Jim Callis’ top ten Cape Cod League prospects that year. Whitlock moved into the rotation as a sophomore in 2017 and in fact he drew UAB’s Opening Day start. He got off to an excellent start to the season before suffering a back strain that sent him to the sidelines for a while, and pushed him into a relief role when he returned. His effectiveness waned and Whitlock finished the spring with a 4.03 ERA and 44/24 K/BB in 60 innings. Not the breakout year he was hoping to put together. Because he turned 21 within 45 days of the draft, Whitlock was draft-eligible as a sophomore in 2017, and Baseball America (subs. req’d) ranked him the 331st best prospect in the draft class. The Yankees selected him in the 18th round (542nd overall) and paid him an above-slot $247,500 bonus*. Whitlock had leverage because, as a draft-eligible sophomore, he could return to school for his junior year and reenter the draft in 2018. * Every dollar over $125,000 given to a player drafted after the tenth round counts against the bonus pool, so Whitlock came with a $122,500 bonus pool charge. Whitlock signed on draft signing deadline day, so he didn’t get many innings under his belt during his pro debut in 2017. He allowed seven runs in 14.1 rookie ball innings split between the Gulf Coast League and Appalachian League. On the bright side, Whitlock struck out 22 and walked zero in those 14.1 innings. Not much to his pro debut. The Yankees sent Whitlock to Low-A Charleston to begin last season and he carved up South Atlantic League hitters, throwing 40 innings with a 1.13 ERA (2.27 FIP) and strong strikeout (29.7%), walk (4.7%), and ground ball (62.0%) rates. A promotion to High-A Tampa followed. Whitlock had a 2.44 ERA (3.11 FIP) in 70 innings with Tampa. His strikeout (25.1%), walk (9.2%), and grounder (50.5%) rates were solid. A two-appearance cameo with Double-A Trenton was uneven (10.2 IP, 10 H, 2 R, 1 ER, 7 BB, 4 K) — Whitlock actually jumped from Low-A to Double-A for a spot start in April — and Whitlock finished his first full pro season with a 1.86 ERA (3.01 FIP) in 120.2 total innings. The strikeout (24.9%), walk (8.4%), and ground ball (53.0%) numbers were good. His 1.86 ERA was fourth lowest among the 510 pitchers to throw at least 100 innings in the minors in 2018. The Yankees bet an 18th round pick and a $247,500 bonus on Whitlock returning to form as he got further away from the back injury and that’s exactly what happened. This past season the right-hander showed the same low-to-mid-90s sinking two-seam fastball he had as a freshman and on the Cape, and the Yankees also had him start throwing four-seam fastballs up in the zone to change eye levels. Whitlock boasts two solid secondary pitches in his power slider and changeup. The Yankees have helped him gain consistency with his slider, which sometimes looked like a slider and sometimes looked like a curveball in college. Now it is a slider, definitively. The changeup is a quality pitch as well and allows him to neutralize left-handed batters. Whitlock is a true-four pitch pitcher with a four-seamer, a sinker, a slider, and a changeup.
? There is a little funk in Whitlock’s delivery and it allows him to hide the ball well, so he has four distinct pitches and deception. Not bad. Throwing strikes has never been much of a problem for Whitlock. His command — the ability to pitch at the knees and to the corners of the plate — must improve across the board, however. That’s not unusual for a pitching prospect with one full season under his belt though. On the durability front, Whitlock has had no injury problems aside from his poorly timed back strain during his sophomore season at UAB — he might’ve been a top five rounds pick with a healthy back that spring — and he has plenty of size (6-foot-5 and 190 lbs.). Enough that you could see him adding velocity should he add a little more muscle. After ripping through two levels of Single-A ball last season, Whitlock is all but certain to begin the 2019 season with Double-A Trenton. I have to think the Yankees are hoping he can pitch his way up to Triple-A Scranton at some point as well. Half a season in Trenton and half a season in Scranton would be ideal. I’d bet against Whitlock making his MLB debut this year — he doesn’t have to be added to the 40-man roster for Rule 5 Draft purposes until the 2020-21 offseason — but don’t be surprised if the Yankees bring him to Spring Training as a non-roster invitee. I really like Whitlock. The Yankees have become quite good at developing mid-to-late round arms (Chance Adams, Cody Carroll, Jordan Montgomery, Josh Rogers, Caleb Smith, Taylor Widener, etc.) into big league pieces or trade chips, and Whitlock appears to belong in that mix. He has a deep enough arsenal and good enough control to start, which is quite valuable even if he’s only a back-end guy. In relief, he could really be something. Part of me wonders whether Whitlock is more trade chip than big league option because he’s not a huge velocity guy and the Yankees usually steer clear of middling velocity righties. Either way, what a get in the 18th round.